The Smithsonian Institute traveling exhibit Hometown Teams will officially open tomorrow at the Greene County Historical Museum in Jefferson. 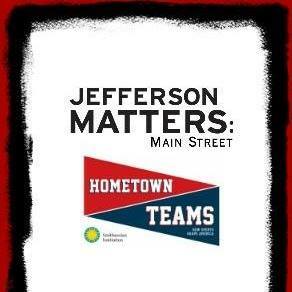 Jefferson Matters: Main Street is one of only six Main Street Iowa communities who will have the exhibit. JMMS Program Director Peg Raney talks about what the exhibit will feature. Raney points out there will be some local angles tied into the exhibit as well. The exhibit will be here in Jefferson from August 11th through September 23rd. Raccoon Valley Radio’s Little Big Red Radio will be broadcasting live from the museum this Saturday from 10am to noon. The exhibit will be open for free Saturdays from 10am to 6pm, Sundays from noon to 6pm, Wednesdays from 1 to 6pm and Thursdays from 3 to 9pm.